The Nosapo, Inc. Human Rights Curriculum is a tool for you to discover resources and various approaches to human rights education. Nosapo created the only Human Rights Curriculum that encompasses only current information and events, that is designed for accessibility for a range of ages and settings, written in plain language that is appealing for all learners, and is written to empower individuals to protect and promote human rights for all. To rise from surviving to thriving, it is paramount to promote human rights and equality to all individuals. Populations must understand equality, recognize and protect their rights and the rights of others, and this comprehend the deserved fair treatment for all. Teaching Human Rights through our Human Rights Curriculum creates a space for discussion, access to both relatable and non-relatable material and evidence, and the opportunity to explore, challenge, and develop values and opinions. Who will use the Curriculum? The Nosapo Human Rights Curriculum may be facilitated to populations either in migratory transition, at risk of forced migration, or recently resettled communities. 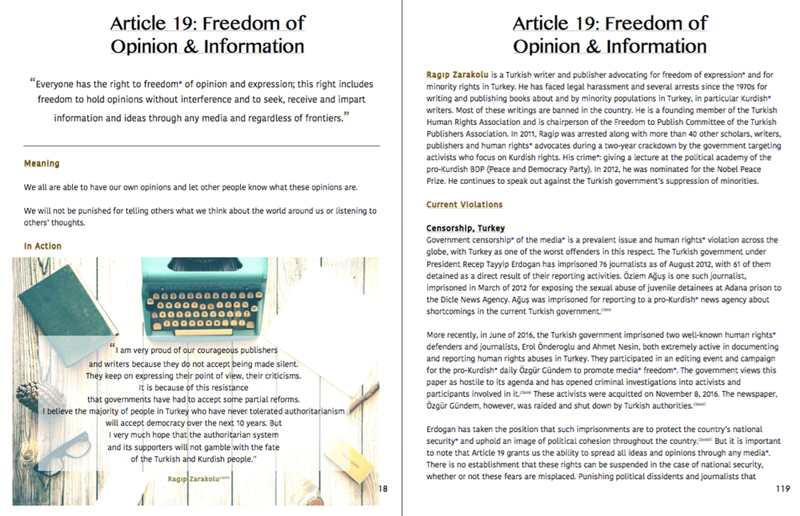 Whether refugees, asylum seekers, displaced, Internally Displaced Person (IDP), or migrant; the Human Rights Curriculum aims to support stability and knowledge of basic human rights, current events and people in action, and connection through knowledge. How will the Curriculum be used? The Nosapo, Inc. Human Rights Curriculum facilitates a comprehensive and current human rights education. The Curriculum may be applied to a mature age range; some content in this curriculum may be misunderstood or inappropriate for younger learners. The Curriculum may be facilitated in its entirety, or the facilitator may apply individual chapters to their syllabus; each chapter is cohesive and fluid to the Curriculum as a whole, but may be delivered independently as well. What does the Curriculum contain? You will receive a PDF download of our comprehensive Human Rights Curriculum. The link to download expires 24 hours after purchase. If you cannot afford the cost to purchase the curriculum, please contact us .